Humpfer going back to Court, for what reason? Paul is going back to Court again, should he continue in politics and try to clear his name? Should he concentrate being a good parent? Knowing not only Paul, but his immediate family I believe he should do what’s best for his children. 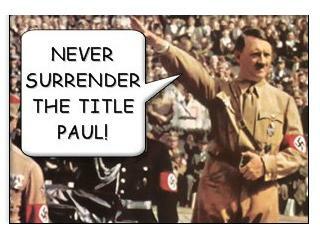 Quit politics Paul, it’s the only right thing to do. Tagged as bad politicians, Brad Mcfeggan, Carpentersville, CarpentersvillePlayhouse, Local Politics, Paul Humpfer, political Liars, Political Marketing, Where's my TITLE dude? Sigwalt wanted a casino, but not video poker? Here’s the typical flip-flopping of Trustee Judy Sigwalt. She proclaimed a couple of years ago, she wanted an Indian Casino in Carpentersville. Now she’s against a revenue source from video poker? First she’s against the Public Works Building, as recently as the last election in April of 09, and now she’s for it. It’s basically has to do with petty politics. After all our last Village President Bill Sarto was against any Indian Casino, so Judy had to go the other way. The same thing happened when Bill Sarto was for the new Public Works Building. She was against that wasteful spending, since we couldn’t afford it at the time. Now she flip-flopped with Sarto gone. Now she proclaimes that we need to build a new PALACE for Bob Cole’s employees. Doesn’t matter does it, that we are drowning in debt in Carpentersville today. Carpentersville Trustee Judy Sigwalt says the village needs to find unique ways to compete with surrounding municipalities for coveted tax revenue. So, the senior trustee has asked the village staff to research the possibility of bringing a land-based tribal casino to Randall Road, on a 50-acre parcel just north of Huntley Road. But casino experts and village officials warn local economies do not always benefit when a casino opens — there are no big tax advantages, and restaurants and such on Indian land often steal customers from established businesses. Furthermore, they say the steps required to open a tribal gaming site would be lengthy and laborious since the land — known as the Heinkel property — is farmland and not a designated Indian reservation. Sigwalt said the proposal arose after she learned Hoffman Estates rejected an American Indian tribe’s request to open a casino there. In 2004, Ho-Chunk Nation officials shut the door on building a casino on a 125-acre site at the Northwest Tollway and Beverly Road in Hoffman Estates. At that time, Hoffman Estates Village President Bill McLeod said the proposal hadn’t gone far before residents and some neighboring towns opposed the plan. Pingree Grove officials in the same year invested about $17,000 to determine if an Indian casino was a viable option for that village. Plans did not progress beyond unofficial talks. Sigwalt said a casino could bring many benefits to Carpentersville. But bringing a tribal casino to Carpentersville would be a “very involved process,” said Gary Garrison, a public affairs specialist for the U.S. Bureau of Indian Affairs in Washington, D.C.
Garrison said the first step involves finding an out-of-state tribe to purchase the land, since there are no federally recognized tribes in Illinois and just three off-reservation casinos across the country, including one in Wisconsin. Once a tribe purchases the land and places it in a trust, Garrison said, the governor must approve a gaming compact authorizing the tribe to operate a gaming venue. The deal must then seek approval of the U.S. Secretary of the Interior. William Thompson, a professor of public administration at the University of Nevada-Las Vegas, said a casino actually could hurt the village’s economy if the proposal moves forward. Indian-owned casinos and resorts do not pay local, state or federal taxes. Village President Bill Sarto also questioned the rationale of opening a casino less than 10 miles from Elgin’s Grand Victoria, the most successful of the state’s nine licensed riverboat gaming sites. Judy doesn’t have any real plans for Carpentersville. Just look how she took control of the Parks Committee, she first favored the return of the Fourth Of July Fireworks at Carpenter Park. Now she’s so concerned about our financial problems she and others decided to eliminate the HUGE costs of the fireworks. Yes, a whopping $7500! Yes, Judy Sigwalt needs that $7500 to help pay off over 14 million dollars for the new Public Works Palace! And now, apparently we don’t need any extra revenue from Video Poker machines. Does Judy need a psychological exam? Does she just follow Paul Humpfer’s orders? The same guy who gave all sorts of excuses and LIES about a vehicle TITLE that took 2 years and 6 months to hand over to one of his victims? Tagged as bad politicians, Brad Mcfeggan, Carpentersville, CarpentersvillePlayhouse, Dundee township, Ed Ritter, Kay Teeter, Keith Hinz, Pat Shultz, Paul Humpfer, political Liars, Politics, tax and spenders, Village Board elections, Where's my TITLE dude? Police hand over TITLE from Paul Humpfer! Gloria Van Cleave has finally received her vehicle TITLE yesterday at around 3:20pm. The Secretary of State Police delivered said TITLE from Paul Humpfer. It’s too bad that Mrs. Van Cleave had to call the Illinois State Police to force the issue with Mr. Humpfer. This issue eventually fell to the office of the Secretary of State Police office. The Court date of January 29, 2010 still stands though for Paul Humpfer. What goes on in the cranium of Mr. Humpfer? Why did he allow all this drama to unfold? Tagged as bad politicians, Carpentersville, CarpentersvillePlayhouse, insane in the membrane, Paul Humpfer, political Liars, Where's my TITLE dude? 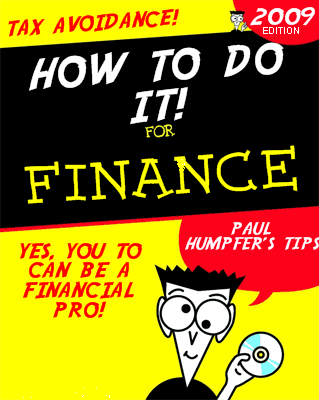 Paul Humpfer’s New Book out! Tagged as bad politicians, Carpentersville, CarpentersvillePlayhouse, Finances made easy!, Guru economist, How to book, Paul Humpfer, political Liars, Racists, tax avoidance made easy., Voodoo Economics, Where's my TITLE dude? He removes the “trust” from trustee. At tonight’s Village Board Meeting, Gloria Van Cleave raised the topic of a Trustee on Carpentersville Village Board, who owed her a TITLE, during “public comment.”. She said how can anyone “trust” a Trustee, who has with-held a TITLE from her for over two years. Mrs. Van Cleave did hand the Village Clerk a couple of copies of the “Bill of Sale” contract that Trustee Paul Humpfer signed on June 20, 2007. As mentioned before https://carpentersvilleplayhouse.wordpress.com/2009/12/05/1888/ He has consistantly lied about the status of the TITLE. Now he lies to the Illinois State Police and the Secretary of State Office. He told the Investigator from the State Police, that Gloria never attempted to call or get a hold of him concerning the TITLE. More LIES! Yes and he also told the investigator that there’s a 18 month “statue of limitations” on this crime he committed. AND, we trust this creep who is Chairman of the Finance Committee? This guy can’t even straighten out his own finances, let alone trying to stall a senior citizen with excuses and LIES from knowing the “TRUTH” of said TITLE. Opening soon in Carpentersville! Come one, come all to the new establishment, where you can lie and get rewarded! YES! Our Village Board has decided that they wanted the families of Carpentersville to benefit like they themselves have in the last election. It’s all about lying and getting elected and now you too can LIE! and get away with it and WIN BIG PRIZES! 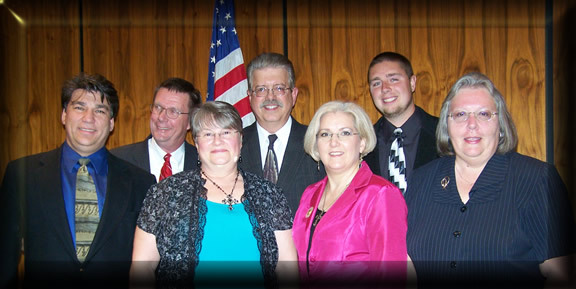 Just look at our wonderful LYING Village Board, they LIED and now receive a handsome monthly check from Carpentersville’s taxpaying families. …so, you’re wondering how you can get into the prize money and what do you have to do to receive these great prizes? Well, come down to the “Liar’s Club” and LIE! YES! Simple as that. It’s so easy even a Caveman can do it! Just walk up to our fully stock bar [no I.D. required] and LIE about your age. We’ll take your word, if the LIE is believable we’ll serve you one of our top shelf specials! After you have drank your fill, let one of our staff [or a couple] carry you to one of our tables, where you can order one of our house favorites. BUT, when it comes to paying the tab, just come up with a clever LIE such as, I’ll be right back my money is in the car. Please don’t forget our “get out of jail cards”, which will help you get out of a jam with our ever vigilant police force. Just tell the officer that your slurring of words are due to a brain tumor or some other BIG LIE. The cop will say, “hey that’s the biggest LIE yet!” Then give him our “get out of jail card.” Soon you’ll be on your way home, hic-cup. So please join us and be part of the loyal Village Board, where we’re moving this Village forward! Tagged as bad politicians, Brad "I'm following orders" McFeggan, Brad "they told me to lie" McFeggan, Carpentersville, CarpentersvillePlayhouse, Ed " the head" Ritter, Judy "tax and spend" Sigwalt, Kay "my hair is perfect" Teeter, Keith "where do I go from here" Hinz, Pat "it's just a white lie" Shultz, Paul "I gotta away with it" Humpfer, political Liars, Where's my TITLE dude? Does this guy need a mental evaluation? The continued saga of Trustee and Chairman of the “Tax and Spend” Committee Paul Humpfer and his LIES about the vehicle TITLE. As written before on this link: https://carpentersvilleplayhouse.wordpress.com/2009/10/27/paul-humpfer-going-back-to-court/ has come up with all types of excuses and LIES. Now here’s the latest excuse from our public servant Paul Humpfer, who we entrust with the finances of Carpentersville. THERE’S A LIEN ON THE VEHICLE that he sold to Gloria Van Cleave! So, Mr. Humpfer knowingly lied to Mrs. Van Cleave about the vehicle TITLE for over TWO YEARS and several months. How did Gloria Van Cleave finally found out the truth about the TITLE? She had to go to the Illinois State Police and file a complaint against Paul Humpfer. Mr. Humpfer had no choice, but to tell the Illinois State Police the truth or face charges immediately. Of course, Paul Humpfer is facing a Court date on January 29, 2010 in Small Claims Court, but will probably face criminal charges soon for committing FRAUD. But, why, why, why, didn’t he tell Gloria Van Cleave the truth about said TITLE? Why did he insist on dragging this TITLE fiasco till January 29th, 2010? Does he in his right mind think that he’s the victim here? LIEN – The right to retain the lawful possession of the property of another until the owner fulfills a legal duty to the person holding the property, such as the payment of lawful charges for work done on the property. A mortgage is a common lien. In its widest meaning this term includes every case in which real or personal property is charged with the payment of any debt or duty; every such charge being denominated a lien on the property. In a more limited sense it is defined to be a right of detaining the property of another until some claim be satisfied. The right of lien generally arises by operation of law, but in some cases it is created by express contract. There are two kinds of lien; particular and general. When a person claims a right to retain property, in respect of money or labor expended on such particular property, this is a particular lien. 3. By legal relation between the parties, which may be created in three ways: 1. When the law casts an obligation on a party to do a particular act and in return for which, to secure him payment, it gives him such lien; common carriers and inn keepers are among this number; 2. When goods are delivered to a tradesman or any other, to expend his labor upon, he is entitled to detain those goods until he is remunerated for the labor which he so expends; 3. When goods have been saved from the perils of the sea, the salvor may detain them until his claim for salvage is satisfied; but in no other case has the finder of goods a lien. Why did Paul Humpfer lie? Is he going to lie about his lies? When will he stop being so vindictive and vile to a senior citizen who just wanted to make a simple transaction? Is Paul Humpfer sane? What does go on in this guy’s head? Is poor Paul Humpfer the real victim here? Does he think that it’s all everyone’s else’s fault? Tagged as bad politicians, Carpentersville, CarpentersvillePlayhouse, Dundee township, insane in the membrane, liar pants on fire!, Local Politics, Paul Humpfer, political Liars, Where's my TITLE dude?